Long War 2 announced for XCOM 2. Remember Long War? The celebrated XCOM mod that revamps, in a pretty substantial way, Firaxis' 2012 strategy reboot? Well that mod is getting a sequel, this time for XCOM 2. A sequel named *world's tiniest drumroll* Long War 2. Long War Studios, the development company that made the original mod, announced the news on Steam, while also announcing that it had changed its name to Pavonis Interactive. Where does that leave the studio's Terra Invicta, an XCOM-ish game about defending Earth from an alien invasion, that was revealed just over a year ago? The good news is that Terra Invicta is still listed on the studio's new site, next to a fresh entry showcasing its recent XCOM 2 mods. 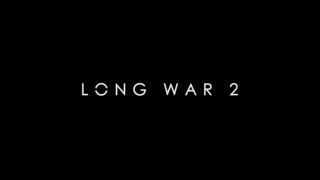 There are no details anywhere about Long War 2 yet, but the team say they'll be sharing more "in the coming weeks".